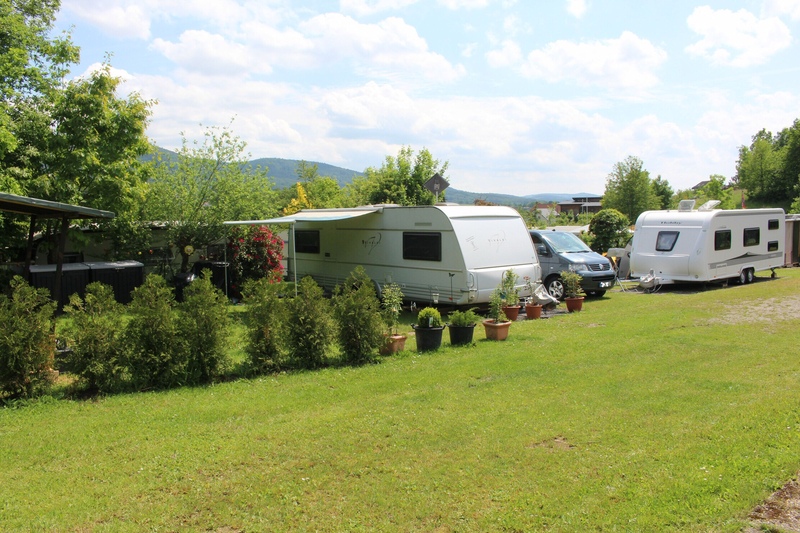 This modern campground is located in the centre of the Nibelungen country in the „Geopark Bergstraße/Odenwald”. You can get there easily from everywhere. It’s the ideal place for nature lovers, sport fans and for those looking for recreation especially for families and their children. The public swimming-pool opposite the campground invites you for swimming and relaxing. If you don’t like swimming you can hike on lots of marked trails enjoying the beautiful landscape of the European UNESCO Geopark. The campground is not only attractive because of its location but also for looking like a park with shrubs and hedges embedded in an idyllic side valley. 130 campsites for permanent and temporary camping are available. The campsites (100sqm) for caravans and tents are all provided with sewage and electric hook ups as well as water supplies. There are also special motor caravan sites with direct water and electricity supply and seats. The check-in desk, the guest lounge with service, the new toilets and washrooms with a bathroom for babies and one for handicapped people, a bathroom for rent, the children’s playground and a small enclosure with rabbits are in the centre of the campground. Tennis courts, a skateboarding ground and a beach volleyball court next to the campground as well as table tennis, table football and a basket for playing basketball on the campsite allow you to have much fun. Cyclists, mountain bikers and motor cyclists can enjoy fantastic scenic tours. Only a few minutes walk away you have got a wide choice of restaurants, supermarkets and specialiced dealers. It’s phenomenal location is perfect for relaxing or for enjoying the diverse activities that can be done in the open air. Whether you prefer to use e-mail or telephone, we look forward to getting your message and will do our best to answer your questions as quickly as possible.